Do the UK’s fracking miniquakes matter? 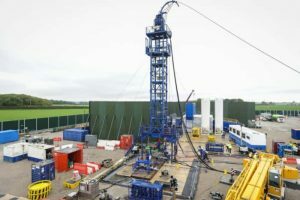 There have been 34 tremors in the Blackpool area since Cuadrilla began fracking at nearby Preston New Road three weeks ago, according to data from the British Geological Survey. All of these seismic events have been imperceptible on the surface. This begs the question: do they even matter? From the driller’s perspective, they absolutely do. Any tremor over 0.5ML [local magnitude] on the richter scale requires fracking to stop and testing and monitoring to commence. Shale gas is unlikely to be developed in Britain unless strict limits on earthquakes caused by fracking are relaxed, the company with the biggest exploration rights has warned. Well done Lancs Police, now working as paid government spys. The government ignored new science on the climate change impact of shale gas sites when it revised planning policy on fracking, the High Court in London heard today. Angus Energy’s farcical operation at Balcombe. I was both shocked and disconcerted to hear your comments yesterday, made at the full Lancashire County Council meeting, regarding the two motions being proposed about fracking on the Fylde. Your comments seem to demonstrate a complete misunderstanding and disregard for the genuine issues and concerns being raised by ordinary residents of the Fylde, such as myself, over fracking in general but more specifically over the spate of recent earthquakes, at the Preston New Road site, and alleged behaviour of protestors. I was born and raised in Preston and a consider myself a true Lancastrian. I especially love the Fylde. I am retired but I spent over 40 years working in the IT industry, in a relatively high paid job, choosing to move to the rural Fylde to enjoy the peace and quiet it offers, the fresh air, country walks and cycle rides and being part of a strong local community; all of which I found and enjoy. When I heard about Cuadrilla’s plans to frack in the heart of our community alarm bells started to ring. I was not anti-fracking at first, but I soon realised upon doing my research, and 4.5 years later I am still of the same opinion, that this industry has no place here or anywhere. It is not wanted and not needed. This industry really does pose serious risks to our communities, their health and well-being, our environment, our economy and ultimately our ability to meet our climate change targets. We are not talking about one or two exploratory sites. We are talking about what would happen if it moves to full scale commercial shale gas extraction. This will necessitate hundreds of sites, thousands of wells and tens of thousands of HGV movements on our rural lanes and main roads. to make it commercially viable. The recent earthquakes at Preston New Road are just a warning sign. This is a densely populated area with a very complex, and highly faulted geology. There have been 48 tremors to date, the largest being 1.5ML. They are clearly increasing in both frequency and magnitude and this is Cuadrilla operating cautiously with one low level frack a day, if that! It is time you stopped listening to industry lobbyists and started listening to those directly affected so you can better understand why thousands of ordinary residents, not rent-a-mob as you so kindly referred to us, have genuine concerns over this industry. People come from far and wide, even from overseas, because this is major issue and, if you really love the Fylde, you will take note of our concerns. I have presented at two All-Party Parliamentary Groups on Shale Gas, met Natascha Engel, the Shale Gas Commissioner and I am Chair of a local resident’s group. I have also met our MP many times to discuss the issues. I am not political. I have never protested, or campaigned, before in my life but I do so now because I am genuinely horrified by what impact this industry will have on communities. Please do us the courtesy of at least listening to us. Come and visit the site to have a meaningful dialogue, in a rational manner, rather than bandy about such disingenuous comments in a full Council meeting. This industry does not have any social license. At the recent Public Inquiry, over the proposed site at Roseacre Wood site, seven town and parish councils stood united to oppose the plans. You need to understand the cumulative detrimental impacts of commercial scale fracking. The industry and their supporters deliberately over play the benefits and play down the adverse impacts. To ignore residents’ concerns is not only disingenuous but also foolhardy especially with local council elections due in May. Are you so sure ordinary people really support this industry? Not in my experience, if the amount of support from residents is anything to go by. The recent spate of earthquakes at Preston New Road is a serious and genuine concern. Fracking should be suspended until a full independent inquiry takes place or the problems at Preese Hall will repeat themselves. To vote against such a motion is extremely short sighted. To make claims about significant traffic disruption, and rent-a-mob protestors, most of whom are ordinary local residents, need to be substantiated. Coincidentally, I am meeting our MP, Mark Menzies today to discuss these matters further. I look forward to what he has to say as our elected MP. 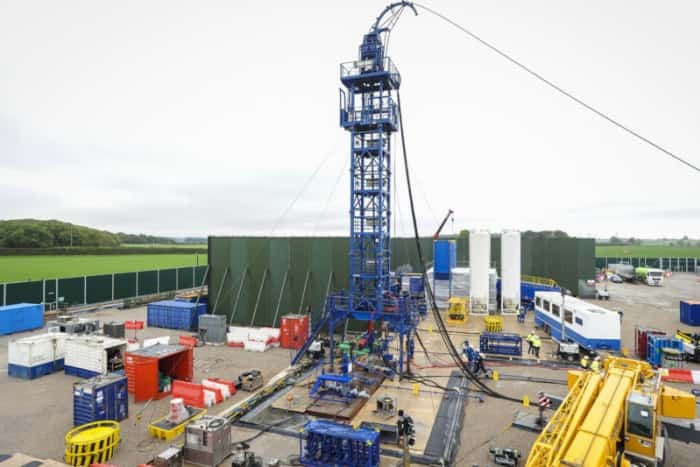 Cuadrilla has confirmed that it stopped fracking again today at its Preston New Road site following an earth tremor measuring 0.9ML (local magnitude). The tremor, at 1.41pm, was classed as a red event under the regulations because it measured more than 0.5ML and happened during a fracking stage. The regulations require Cuadrilla to pause fracking for 18 hours and check the well integrity. 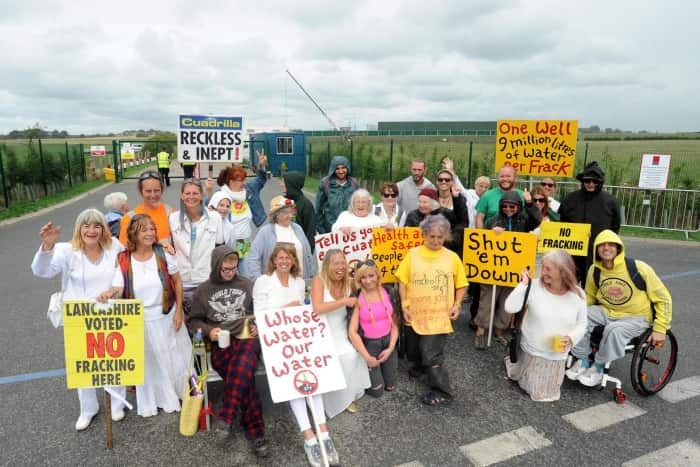 Councillors in Lancashire are calling on the government to suspend fracking at Cuadrilla’s shale gas site near Blackpool because of earth tremors. The demand is part of a motion to the county’s full council meeting later this week.